Anita specializes in multi-unit housing and the variety of housing offered in Davis. She truly looks forward to helping you get the home you are looking for. 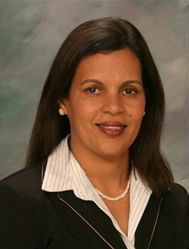 Anita joined Real Estate in 2005 and specializes in working with investors and professionals. She loves living in Wilhorse and working with people with diverse backgrounds. She herself is multilingual and can speak English, Hindi, Punjabi and Urdu. Education is important to her and she is knowledgeable about the schools as her own children have gone from Elementary to High Schools, and then through the UC system. Her biggest attributes which she hears back from her clients are her honesty and her ability to understand the needs of her clients and negotiate a deal for them. She takes every transaction personally and holds the clients hands through the process. She loves nature, walking and entertaining. When she is not working she is out spending time with friends and family.